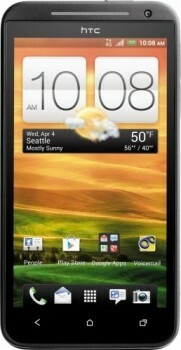 Sprint unveiled the HTC Evo 4G LTE smartphone at a media event in New York City on Wednesday. Somewhat overshadowing the actual phone announcement is the fact that it will be the first to support Sprint’s new HD Voice network, part of their Network Vision initiative announced in December 2010. HD Voice uses an advanced audio compression technique that will clear up noise surrounding a person’s voice during a call and clarify each spoken word. The company says this will result in fuller, more natural-sounding and less fatiguing voice quality. To use HD Voice, both callers must have a handset compatible with the new feature (only the Evo 4G LTE as of writing) and be within distance of a compatible network. Sprint was reportedly pretty tight-lipped about where exactly this feature would be functional, however, just saying it would work in Sprint 3G HD Voice-enabled markets. The new HTC Evo 4G LTE, a follow-up to the original Evo 4G that launched in June 2010, sports a 4.7-inch display, a dual-core 1.5GHz Snapdragon processor, a 2000mAh embedded battery and two cameras: an 8MP rear shooter and a 1.3MP front-facing lens. The device will ship with Android 4.0 Ice Cream Sandwich with the HTC Sense 4 UI overlay. Oh, and the kickstand is returning as well. The handset will be available sometime in the second quarter for $199.99 with a standard two-year service agreement. Those interested can secure a pre-order starting May 7.